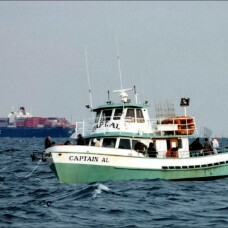 Captain Norm briefly owned one party boat, the "FURY" from Belmar, NJ. 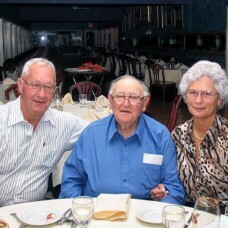 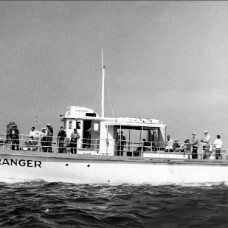 We do not have a photo of the "FURY", but we do have a couple of photos of it when it sailed as the "RANGER". 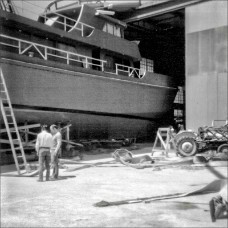 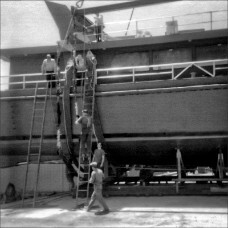 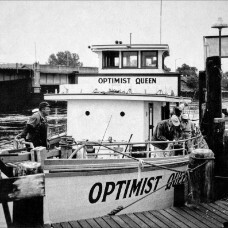 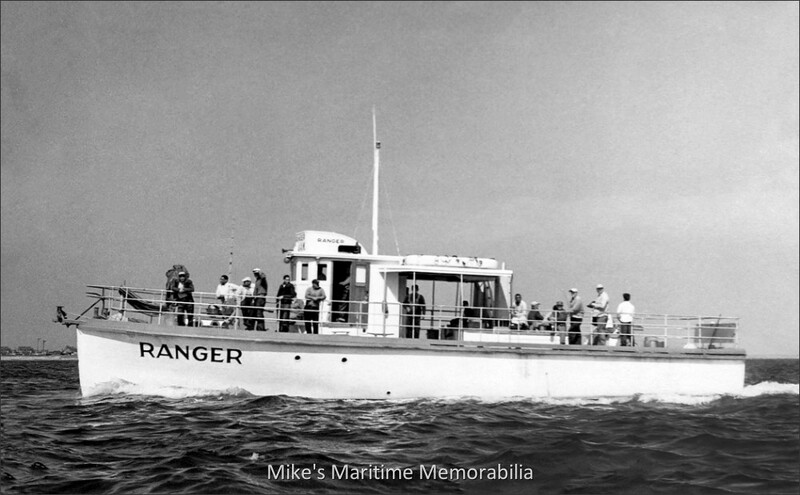 Captain Mike Scarpati's original party boat "RANGER" from Pier 6 at Sheepshead Bay, Brooklyn, NY circa 1957. 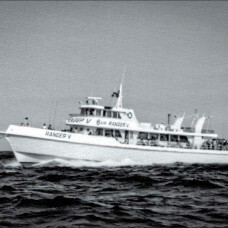 She is a converted 1940 U.S. Army Bomb Target Boat, a vessel that towed targets used for open water bombing practice. 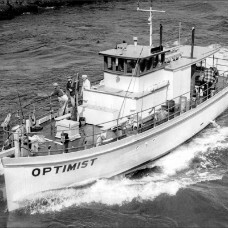 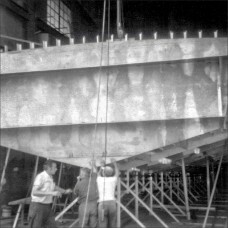 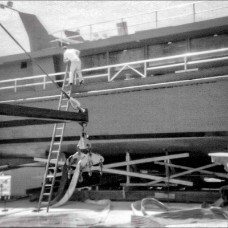 In 1959, Captain Scarpati bought a replacement boat and sold the original boat to Captain Jack Endean who moved her to Point Pleasant, NJ. 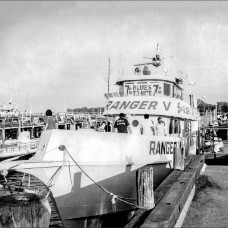 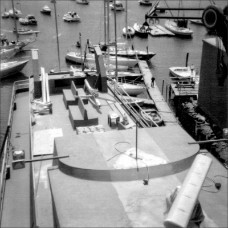 Captain Scarpati told Captain Endean that since the two boats were located in different states, he could continue sailing her as the "RANGER". 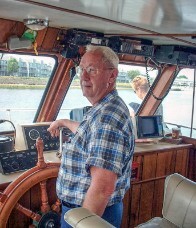 She later briefly sailed as Captain Norman Mordaunt's "FURY" from Belmar, NJ and lastly as Captain Charles Shirley's BLACK HAWK from Belmar, NJ.